So many iphone users have fallen into this scam but one person have deemed it worthy to let many users know about how to avoid such scam. what you need to know is below and picture that very that the scam is real. With regular IOS system and app updates, it’s not unusual for an iPhone or iPad user to be asked for their Apple ID password. But Felix Krause, a software expert, has uncovered how scammers are exploiting our habit of entering this sensitive information without pausing to consider why. Can you spot the fake popup? 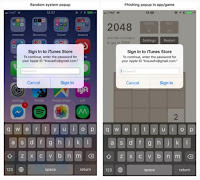 Krause explains in his blog that scammers use a mobile phishing attack that imitates the popup familiar to all Apple users. 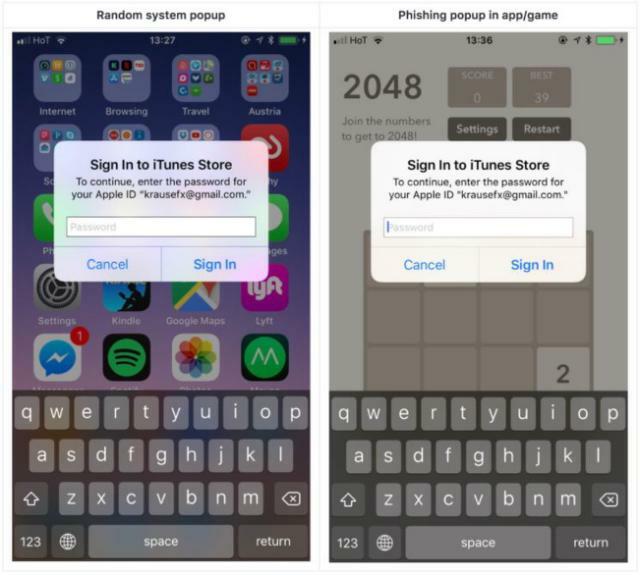 The fake password request that appears in apps looks almost identical to the genuine popups iPhone and iPad users get from time to time. Krause was able to recreate a fake popup in an app. Can you tell the difference? Worryingly, some authentication popups don’t always require an email address, making it even easier for scammers to get your password.